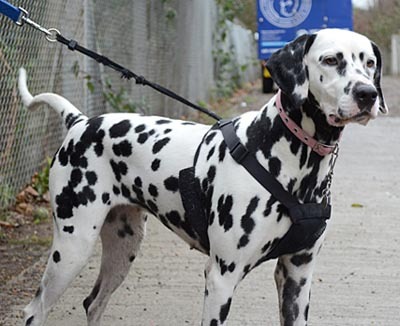 Battersea Dogs & Cats home are looking to find the owners of Annabelle, a stray Dalmatian who found her way on the number 63 bus after getting lost. She had been wandering outside Peckham Library on her own looking confused, and shocked the driver of the No. 63 bus when she jumped aboard and made herself comfortable on the top deck. Fortunately, a man from Rotherhithe was able to lead Annabelle back off the bus, using his bag as a make-shift lead.